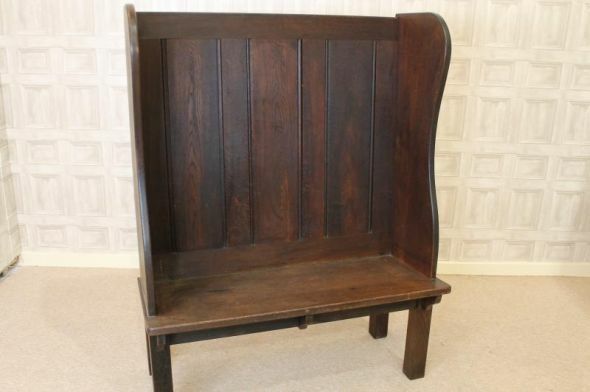 A large circa 1910 solid oak high back arts and crafts settle. In good condition for its age, this settle would be ideal for any large porch or hallway. Unfortunately, the cushion that came with the settle is not the correct size, but this can be easily remedied. A lovely piece of antique Arts and crafts period furniture.